So much to do, so little time! If you’ve ever been swamped all day but felt like you’ve gotten nowhere, you could do with a little help getting things in order. Helene Segura, M.A. 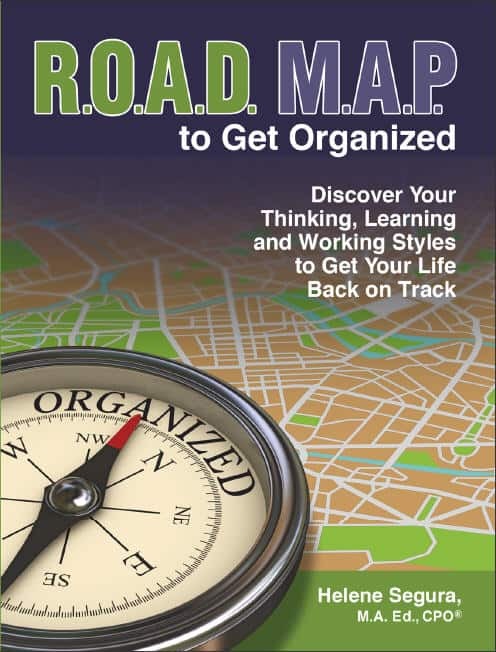 ed., returns today with her new guidebook Road Map to Get Organized: Discover Your Thinking, Learning and Working Styles to Get Your Life Back on Track. 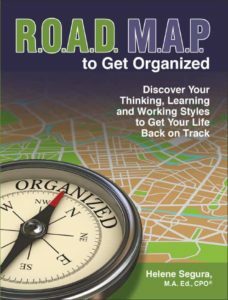 You’ll go step-by-step, learning to develop a mission, embrace change, discover your source of challenges and learning and working style, and how to plan your next steps. Helene is an organization and productivity expert who guided listeners through keeping track of our New Year’s goals last year with quarterly appearances on Conversations Live. She has appeared in more than 150 media interviews including publications such as Woman’s Day Magazine and Money Magazine, as well as on Fox, CBS, ABC and NBC affiliates. “There are no bad dogs, just bad owners,” is probably a credo you have heard. 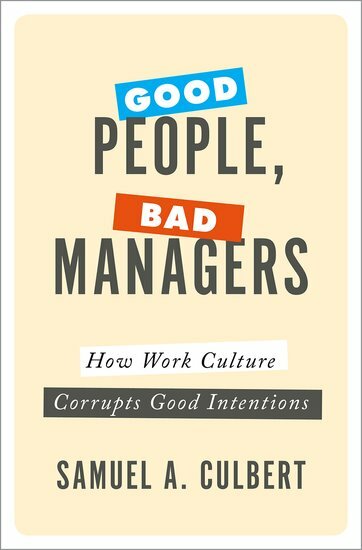 Samuel Culbert, PhD., takes the same principle to the workplace in Good People, Bad Managers: How Work Culture Corrupts Good Intentions. 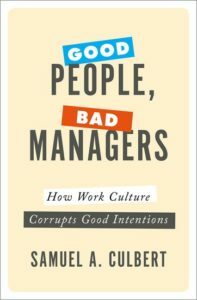 Culbert contends the underlying cause of bad management behavior occurs as managers begin to move up the ladder, pursuing “success” skills rather than crucial management skills. He offers advice on how to effect change in the workplace to bridge the gap between management and employees who feel disrespected. Samuel A. Culbert, PhD., is an award-winning author, researcher and professor at UCLA’s Anderson School of Management. He is the winner of a McKinsey Award for an article published in the Harvard Business Review, is a frequent contributor to management journals and has authored numerous chapters in leading management books.